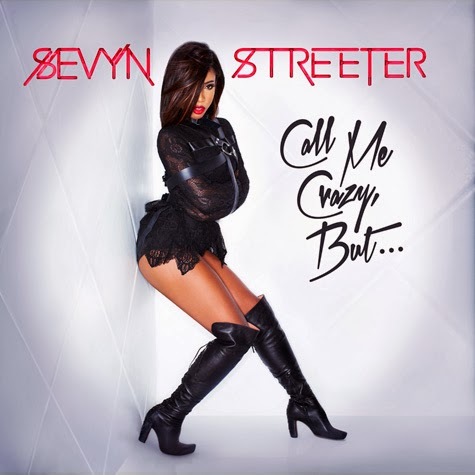 From writing for everyone including Chris Brown to Kelly Rowland and Ariana Grande, the beautiful and sensational Sevyn Streeter is set to release her own forthcoming project - her debut EP. December 3 will see the release of EP titled ‘Call Me Crazy, But...’. Sevyn glows on the artwork of the EP where she is seen giving us all type of fierceness in her face, and working her body. The singer/songwriter who is currently signed to CBE/Atlantic Records will hit the road with singer K. Michelle on ‘The Rebellious Soul Tour’ kicking off on November 4 in San Francisco. And will be performing at Black Girls Rock!, which airs November 3 on BET. The 7-track EP will feature only Chris Brown on her hit single ‘It Won't Stop’, including six other unheard tracks.